The decision by two Southern Ocean County communities to share services comes with painful sacrifices as Barnegat Township Committee Members vote to eliminate several administrative staff positions during Wednesday's special joint meeting with Ocean Township. Barnegat officials adopted resolutions to eliminate the positions of Township Tax Collector, Planning/Zoning Administrator and Recreation Director. Those functions will be handled out of Ocean Township. They will also be transferring the duties of the Municipal Housing Liaison to the shared Township Administrator David Breeden. Barnegat Mayor Alfonso Cirulli called the decisions difficult because he personally knows the employees whose jobs were cut. "We've been fortunate we've been able through attrition that we haven't had to lay people off and actually, this was the first three people we've had to do in the nine years I've been there." Meanwhile, Ocean Township officials approved resolutions to share its Tax/Utility Collector, Recreation Coordinator and Zoning Officer with Barnegat Township. 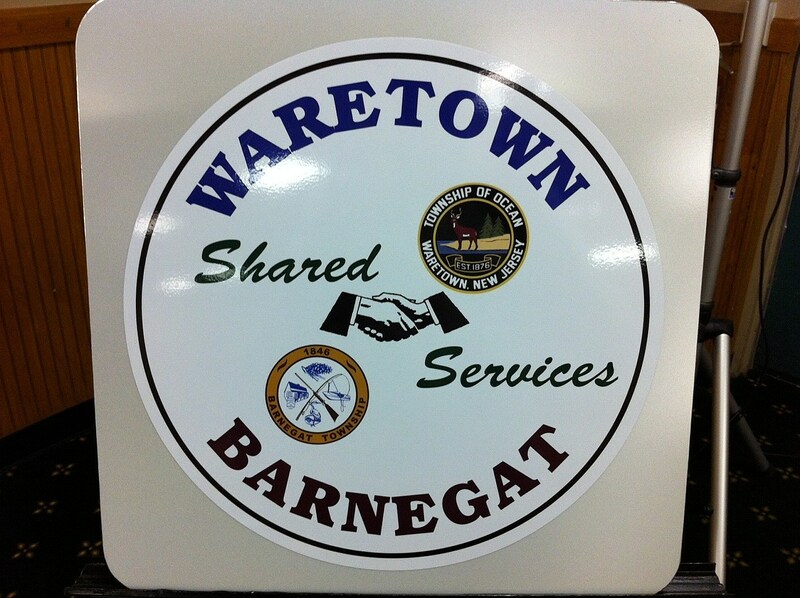 Committee members also executed another Shared Services Agreement to use Barnegat's Township Administrator for five more years. During the Joint Committee Meeting, officials gave a slide show presentation that explained the purpose of sharing services. It listed the need for towns to share resources to stabilize or reduce cost while maintaining services. It also showed a four-phase progression in sharing services and showed significant cost savings when the towns began sharing a Solid Waste Contract. Breeden talking about the history of the plan says, "We started back in 2006 on an informal basis just sharing public works resources. However, back in 2010 both towns agreed to share an Administrator. In April 2011, we agree to share Uniformed Construction Code Inspectors. The shared services don't end with the two towns either, Barnegat Committee Members also voted to authorize Interlocal Agreements with Stafford Township involving the payment of sewerage flow emanating from the Paramount Escapes Ocean Breeze Development. They authorized sharing services with the Cape May County Community of Ocean City for the design and manufacture of traffic, street and special event signs. Ocean Township Committeeman Joe Lachawiec says this is their Trump Card in warding off calls for town consolidation. "The people in Waretown do not wish to consolidate with any other town. We're doing just fine financially. However, there are opportunities to even do better and we can even save more tax money by sharing services without joining the two towns." Mayor Cirulli calls the moves historic. "I mean, I don't think there are any other townships, anything like this happening in the rest of the state." Cirulli believes the moves are necessary because of the Governor's threats to cut municipal aids to towns that don't seriously begin to reduce the cost of running local governments by sharing services. Meanwhile, residents we spoke with appeared to be positive about the plans, saying they'll take a wait and see approach.